Do you know what’s more memorable than the classic game of Rock, Paper, Scissors? Well, it’s a game of Rock, Paper, Scissors against a terrific artificial intelligence that’s able to be absolutely random while also representing a real challenge! Are you fed up with playing against people who can predict your every move? Muster up your courage and defy the only opponent strong enough for you! In case you’re a beginner, here’s a short recap of the rules of the game. 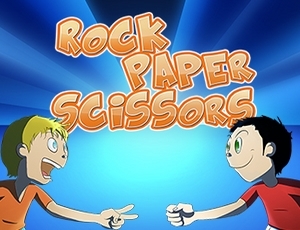 You and your opponent must choose a sign that you will then compare: The rock breaks the scissors but is covered by the paper; the paper beats the rock but is cut by the scissors; the scissors beat the paper but are broken by the rock.